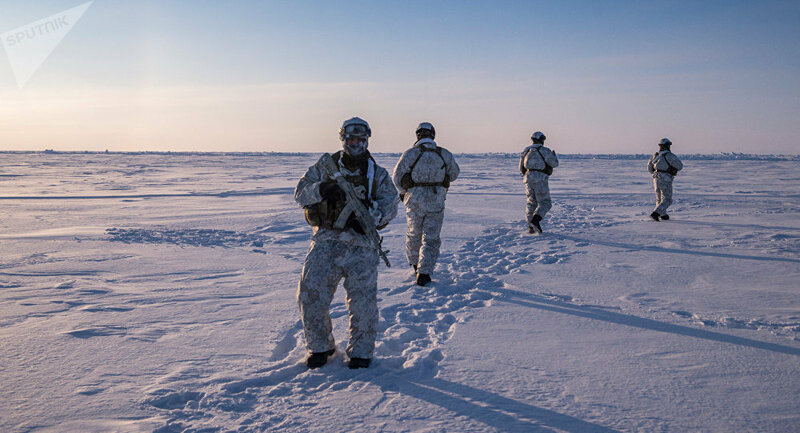 MOSCOW (Sputnik) - Russia's Kalashnikov Concern with the participation of Defense Ministry specialists has developed an outfit for special forces working in Arctic low temperature conditions, the company said in a press release on Thursday. According to the press release, the outfit unit consists of over 40 elements, including raid suit "Nanuk," special sleeping bag for low temperatures, transport containers for the safety of medicines and diets. "All elements of the equipment were tested by specialists of the Kalashnikov Concern and servicemen of the Russian Defense Ministry during the Arctic expedition in March 2018 on the Yamal and Taymyr peninsulas. The temperature during the tests reached 47 degrees Celsius below zero, winds of up to 25 meters per second and higher and humidity of up to 100 percent," the company said. Kalashnikov Concern was created in 2013 in a merger of two Soviet-era plants – Izhmash and Izhevsk Mechanical Plant – becoming Russia’s largest producer of rifles and other weaponry.